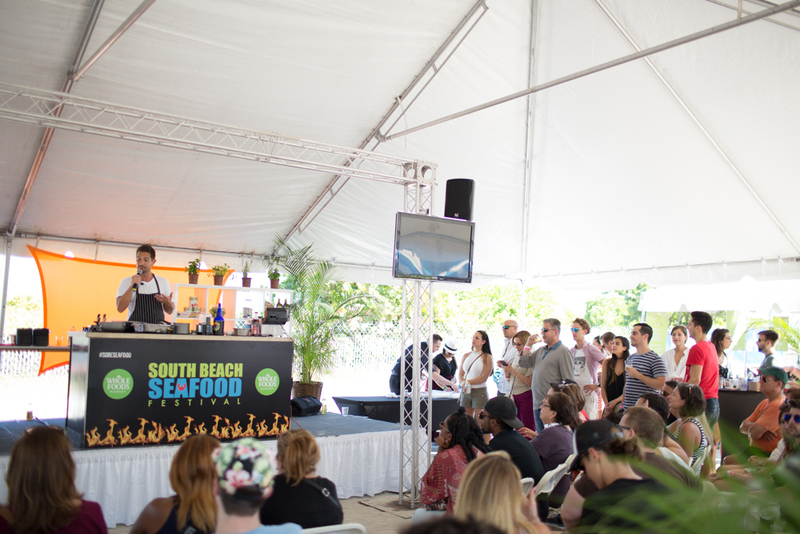 On Saturday, October 20, 2018 at the South Beach Seafood Festival, guests can experience the ultimate in live demonstration as top culinary chefs and mixologists will give you behind-the-scenes tricks of the trade. We are bringing you a bigger and better Culinary Showcase Kitchen, hosted by Milam’s Markets! Enter this feature demo zone in the main festival area throughout the day. Every half hour, you will learn from different experts including culinary chefs from our participating restaurants! All samples and protein used throughout the day will be brought to you by Milam’s Markets, where representatives will additionally be teaching guests the sustainability of each of the types of seafood being used. It’s important to always consider the long-term vitality of harvested species and the well-being of the oceans as we enjoy a wonderful day with our Seafood lovers! 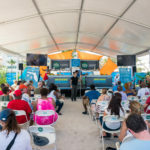 South Beach Seafood Festival & Culinary Demos…what could be better than this gourmet foodie dream combo? So don’t miss out on the 2018: Milam’s Markets Culinary Showcase Kitchen!